Have you heard about Isometric Games? and Chrono Trigger? Before I start post something about Sprites, I will need post about Game View Cameras ‘s Concepts of Parallel Projections. If you are following this blog from the beginning, you must know that I’m developing a game, and this blog is about Electronic Games (Development or not) and about the game that I’m working on. So let’s back to the main subject of this post. Do you know what is an Isometric Game? In video games, “isometric” refers to some form of parallel projection (commonly, the form of dimetric projection mistakenly referred to as “isometric”) where the viewpoint is rotated slightly to reveal other facets of the game environment than are visible from a top-down perspective or side view, thereby producing a three-dimensional effect. The terms “3/4 perspective”, “2.5D” and “pseudo-3D” are also commonly used. With the advent of more powerful graphics systems, “isometric” projection is becoming less common, instead being replaced by perspective projection. Did you understand? No? Maybe? Sure! Dur!? 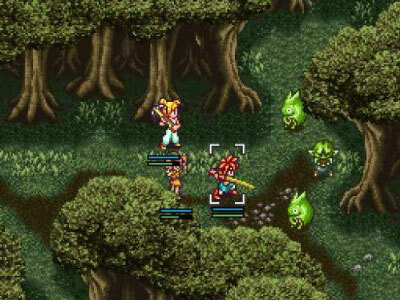 Well, do you know a game very popular with the name of “Chrono Trigger”?